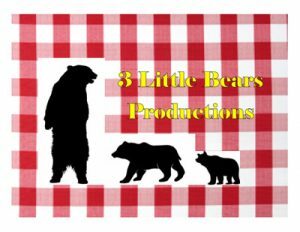 Just like the Three Bears each had their own bowls, beds and chairs, Three Little Bears Productions aims to create theatre for children and their families of all ages and to create a dialogue that allows learning to truly happen. We develop scripts with children in mind and produce works several times a year at various venues, such as Palmerston Library and George Ignatief through the Fringe Festival of Toronto and Fairview Library. Much like Minmar Gaslight, we believe highly in workshopping and developing works with the writers and artists and then move the pieces to production.